Not really sure how I’d describe the artwork of Mike Bertino other than a cross between John Kricfalusi and maybe someone like Gary Baseman. Even though those comparisons are a bit weak, Mike’s artwork has a great presence and stands out from a lot of other artists. Take for instance, this piece above, entitled Skid. It’s obvious why this would fit on this site. 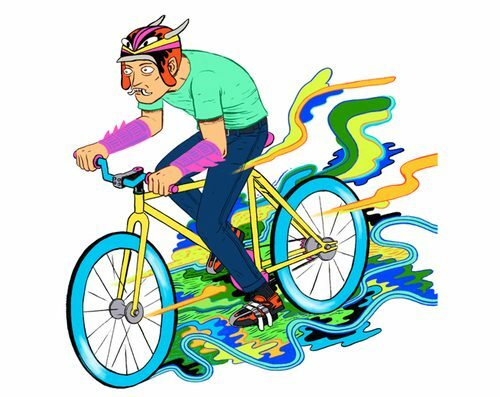 There’s another bike-themed piece, which I like more, but isn’t as psychedelic as this one. 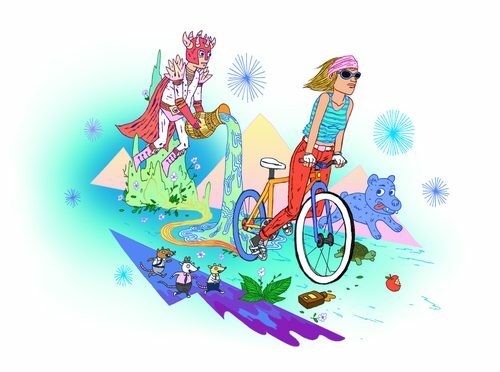 Here’s an untitled piece, under his blog entry Fixed Gear Fun.